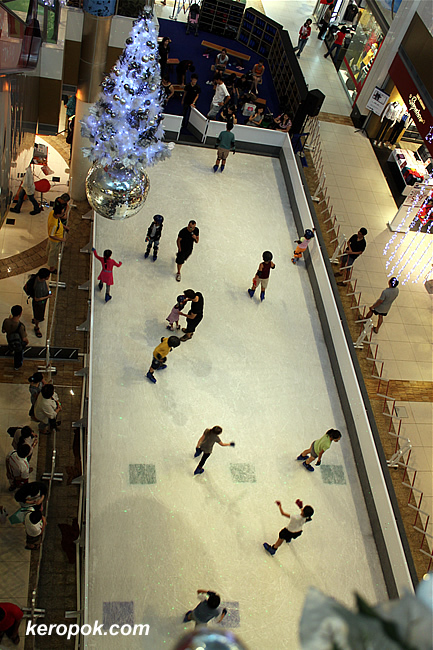 Over the weekend, I happen to be at Velocity Novena, and was surprised to see an ice skating rink inside. It's just a tiny one. It's tiny that only kids are allowed in. How clever of the mall! 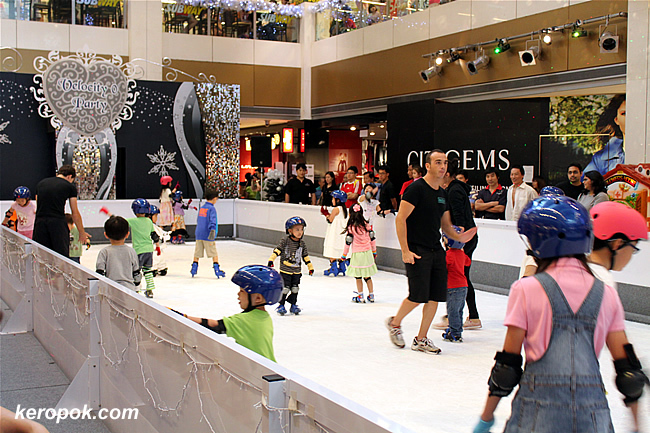 If your kids want to have a free half an hour skate, the parents got to spend $60 in exchange for a chance to skate. You know something? I can't roller skate, ice skate or 'anykind of skate'. Can you? Thats a good way to get the parents spending!